Since sharing articles about What A Product Manager Does and Interviewing Product Managers, readers have asked me for more detail, specifically what skills to expect at different Product Manager levels. At XO Group we’ve broken the six Product Manager skill areas and Management into more granular measurable skills. We use these explicit skills to help us interview and hire, and to help our people grow in their careers through individual development plans. 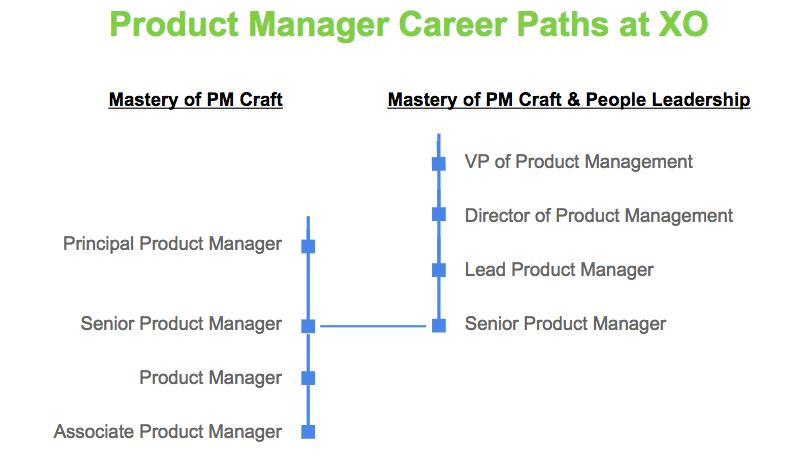 This grid below shows our Product Manager career paths, both as an individual contributor (left side) and as a manager (right). Strategic Thinking: ability to lead to answers for increasingly large problem and product areas, with corresponding internal thought leadership. Includes: brainstorming, structuring thinking, driving strategy, becoming go to expert. Communication: clear written and oral communication to larger and higher stakes audiences. Includes: writing clear emails, communicating clearly in person, writing and providing presentations. Collaboration: increasingly more facilitation and getting things done with others within and across teams. 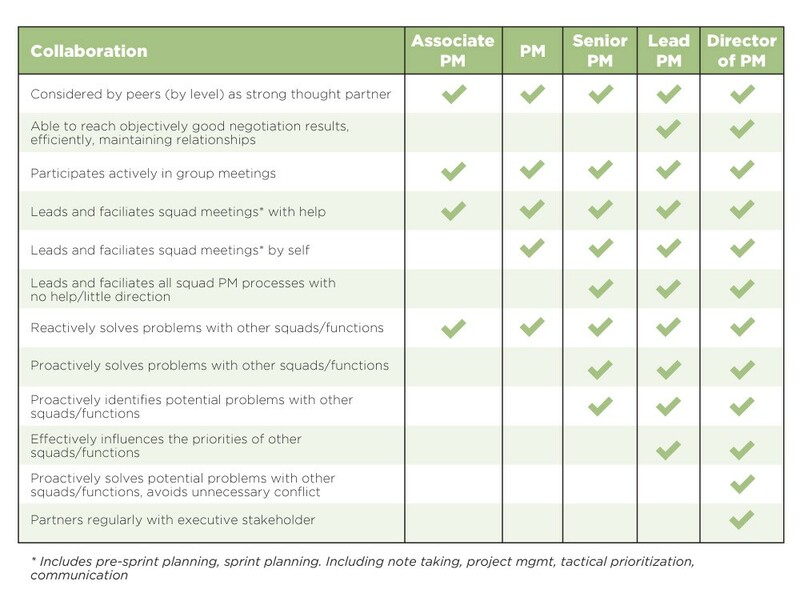 Includes: actively participating in meetings, leading meetings, running squad processes, solving problems with other squads, appropriately avoiding and diffusing conflict. Technicals: using Product Management and partner function (Engineering, Design) tools to partner well across the team. Includes: writing stories, performing analytics, building prototypes, understanding SEO. Details & Quality: driving results and catching mistakes across increasing scope. 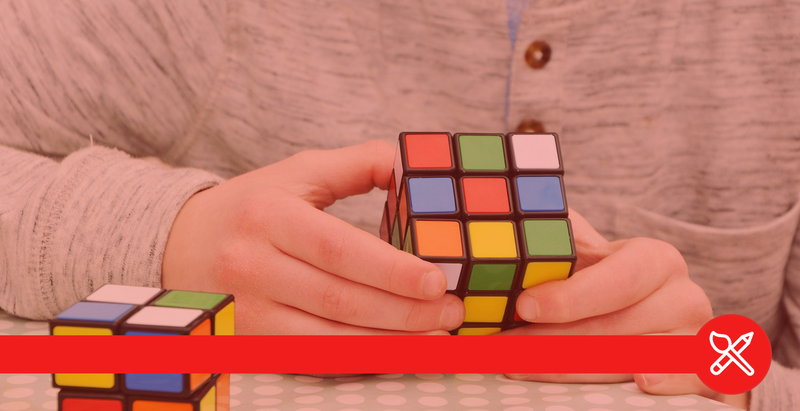 Includes: writing clear specs with use cases, delivering products small and large on time and with few bugs, navigating options to deal with bumps in the road, achieving outcomes. 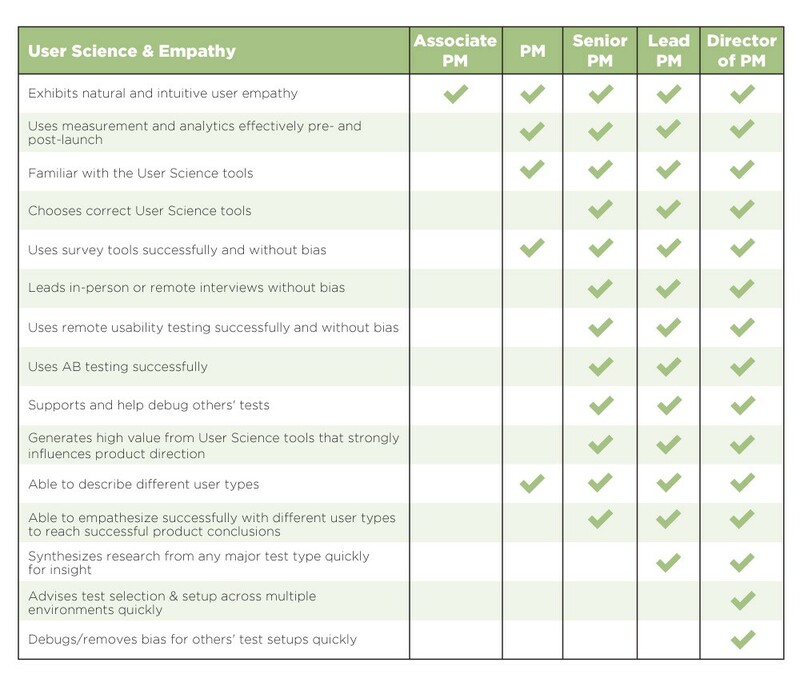 User Science & Empathy: mastering the User Science toolkit to better understand users and fit products to user needs and behaviors. Includes: succeeding with survey, interview, prototyping, A/B testing, and analytics tools, understanding and representing different user types and their needs, synthesizing user science into insight. Management: growing people and organizations successfully. Includes: mentoring, managing, growing teams, and growing organizations. 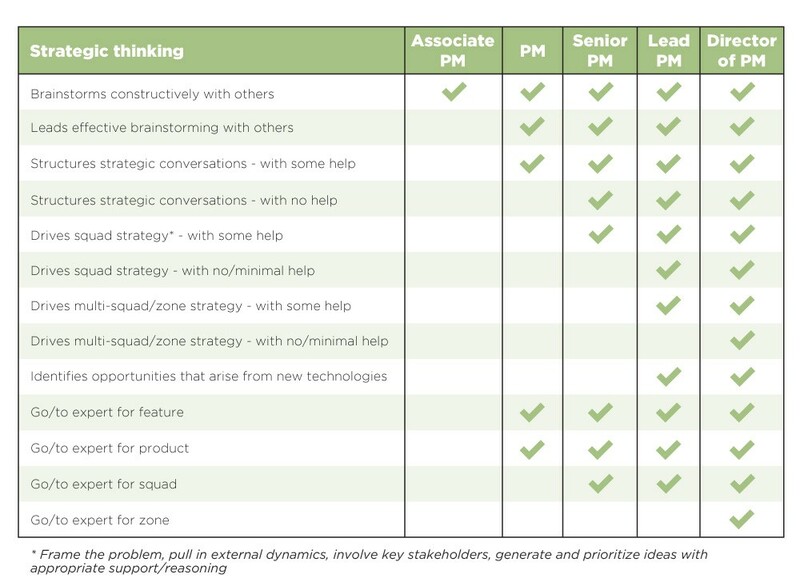 I’m sure I missed some skills important for Product Managers in your organization — these shown skills likely represent 80% of best practice. 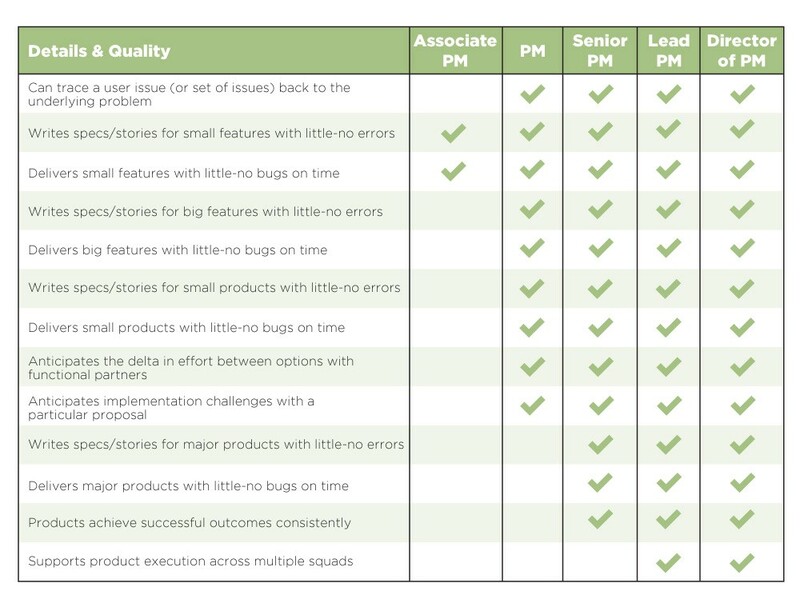 The product manager levels shown are those currently in use at XO Group, a team with ~30 PMs. 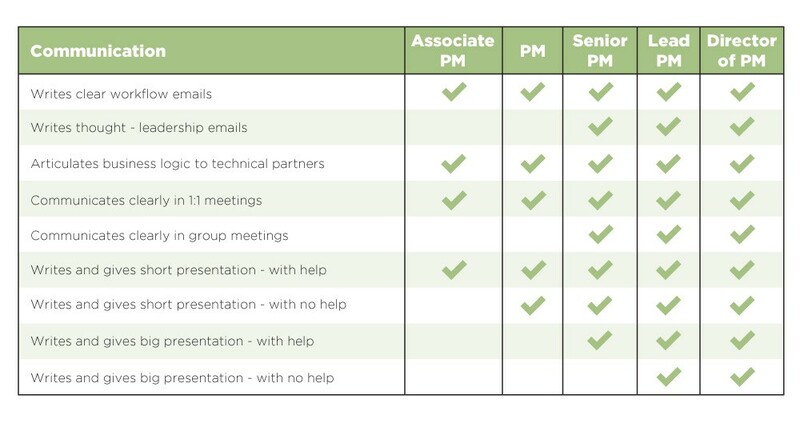 Different organizations vary in number of different level types (Associate PM, PM, Senior PM, etc.) and expectations per level. As product teams scale, they often need more internal levels to provide career pathing. Final Note: at XO Group we hire Product Managers according to will, skill, and value fit. This article covers skill. Hiring for values fit is likely a personal and specific topic for your organization. We’re proud of our six key values: Love our users, Do the right thing, Debate it, Own your outcomes, Make fast decisions, and Get better every day. Thanks to Nis Frome and Alpha for some graphics help.